UPDATED 6/15/16: Graphic designer Patso Dmitrov has announced on Twitter that he will be releasing another rap-inspired jersey. This time around he&apos;s dropping the jersey that takes cues from Frank Ocean&apos;s Channel Orange album cover. The jersey will be available for pre-order on Dmitrov&apos;s website starting on June 16 at 12 p.m. PT. See the original post from 6/01/16 below. When people got their first glimpse at Patso Dmitrov’s rap-inspired basketball jerseys, they immediately hit up the graphic designer demanding to know where they could cop one. Unfortunately for them, however, the jerseys were just illustrations and were not intended to be produced or put up for sale. But that all changes this month. Dmitrov ultimately linked up with LiveMixtapes.com, the company that enlisted him to create Future&apos;s Purple Reign jersey. 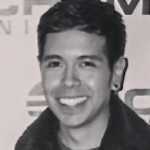 With the company&apos;s assistance, he began to work on the production of five pieces inspired by well-known album covers. And he decided to kick things off by releasing a jersey based on one of the biggest rap albums of the year, so far. Chance the Rapper fans shouldn’t worry, though. 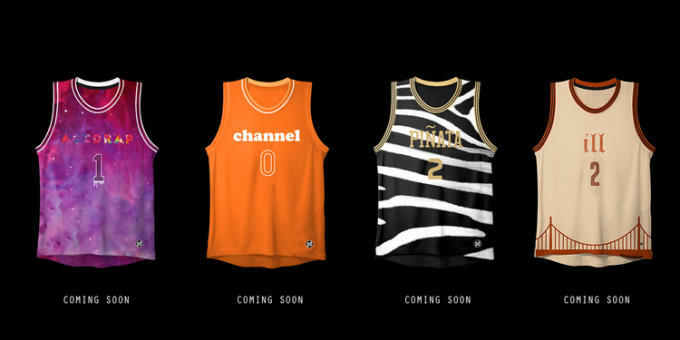 The Acid Rap jersey will be released following the VIEWS drop, as will the jerseys inspired by Nas’ Illmatic, Freddie Gibbs and Madlib’s Piñata, and Frank Ocean’s Channel Orange, the latter being Dmitrov’s favorite. Dmitrov, who’s also the creative director for sock brand Bread&Butter, said he had to strip down several of his initial jersey designs so they would not feature any exclusive logos that belonged to artists. He explained that the pieces are more of an homage to the album covers, rather than an exact copy, as the colors, motifs, and fonts are what really make the references clear. This approach can also been seen in the Nike basketball sneakers he designed, which were inspired by popular cartoon shows as well as famous album covers. Of course. 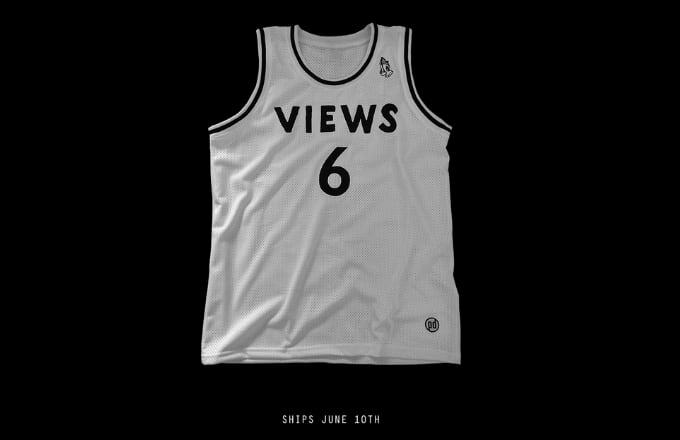 The Drake VIEWS jersey is available for pre-order today on Dmitrov’s website. And be sure to keep your eyes peeled for the other jersey drops later this year.